We love to answer visitors’ questions! Events, dates and hours, are always changing but this will help you stay up-to-date and travel with ease. 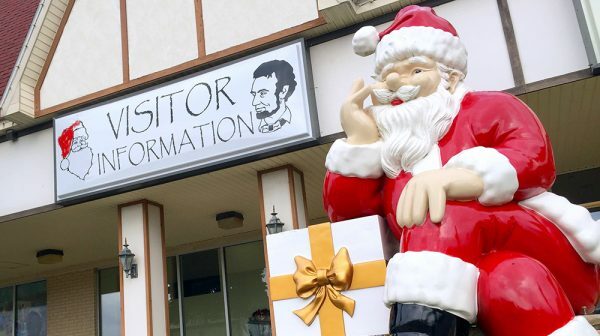 At the Spencer County Visitors Bureau, we strive to provide visitors with all the necessary information possible to create lasting memories with friends and family in Santa Claus, Indiana, and sites throughout Lincoln’s Indiana Boyhood Home. Here are a few of our most popular and frequent FAQs when people come to our office or call us on the phone. Q. Where can we get pictures taken with Santa? A. We have Santa’s hours on our website and we update it monthly for every attraction. The Santa Claus Christmas Store offers pictures with Santa May through December 24. Double check or confirm by calling: (877) 244-1772. Q. What can we do today? A. Many visitors want to know what they can do nearby that is special to the area. The calendar of events on our website provides information for those planning a trip anytime of the year. Find out what is open on any given day with this updated monthly flyer showing hours of operation for local businesses. Q. Where can we write letters to Santa? A. You may write letters to Santa at the Santa Claus Museum & Village from May through December. Find hours of operation for this site each month, along with addresses and contact info. Letters to Santa may be mailed to: Santa Claus, P.O. 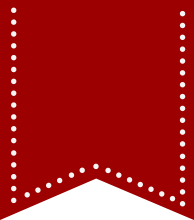 Box 1, Santa Claus, IN 47579. They must be received by December 20, 2018, with a legible return address to receive a reply. If you are curious about how to write a letter to Santa we can help with that, too! Q. Where can I buy postcards? A. Postcards may be purchased at Holiday Foods grocery store, the Santa Claus Christmas Store, Evergreen Boutique & Christmas Shop, and Santa Claus Museum & Village. Q. What is going on for Christmas? A. This is the event guide for the 2018 Santa Claus Christmas Celebration which takes place during the first three weekends each December. Special events and holiday traditions take over the town and provide a very merry getaway during one of the most wonderful times of the year. Can’t miss events include Chestnuts Roasting on an Open Fire, Christmas Dinner with Santa, the Festival of Lights, the Santa Claus Arts & Crafts Show, and so much more! Q. How was the town named Santa Claus? A. Santa Claus, Indiana, has such a wonderful legend. You can read about the Story of Santa Claus, Indiana in this blog post. If you are wishing to bring a little magic into your family’s holiday season, visit this small town with a big story – a Christmas Story. Q. What’s all this about a special holiday postmark? A. The holiday postmark is designed by a local high school art student as part of an annual contest. Each December the Santa Claus Post Office offers the picture postmark to hand cancel the postage stamps on holiday mail. Find out what the 2018 postmark looks like and more information. Q. What will be open on Christmas Eve and Christmas Day? A. Find out which businesses are still open on Christmas Eve. Nearly everything in town is closed on Christmas Day. Q. Where can I go sledding? A. Currently, there are no public sledding areas in Santa Claus. Q. Any events going on New Year’s Eve? A. The end of Christmas leads us into our off-season, but you can always check here for the latest upcoming event information. Q. We want to spend Christmas in Santa Claus, what will there be to do? First, check the monthly hours flyer to know the hours of operation for the local businesses. You can also use the Trip Planner tool to plan out your trip itinerary. Reserve a cabin or hotel for the holiday so, your family can enjoy a space that feels like home. Get your last-minute shopping done at Evergreen Boutique & Christmas Shop, Santa’s TOYS, and more. Click here for all business hours of operation throughout the area. Take advantage of the last opportunity to visit with Santa at the Santa Claus Christmas Store. Order pizza, Stromboli, or wings for delivery from Hoosier Land Pizza and Wings or pick up food to cook at Holiday Foods. Get up Christmas morning to open gifts, spend time with family and friends, and then head to Denny’s for a late breakfast. We also have a place on our website to request information. Send us a message if there’s something you are still wondering about in Santa Claus, Indiana, and sites throughout Lincoln’s Indiana Boyhood Home.